It was too late to rescue this bee - but very often, it is possible to help a bee trapped in a spider web. "How do I rescue a bee from a spider's web, without damaging the wings and legs? What's the best way to do it? We have lots of spider webs in our garden, and bees get trapped all the time, but when I try to help, the wings and legs are covered in cobweb. 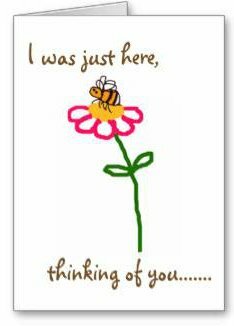 What is the best way to help and to free the bee, and will the bee survive?". "I rescued a bee from a spider's web, and now it's covered in cobweb. Help, what can I do?" I receive such queries every year. Often, the visitor will have read my account of rescuing trapped bees. whether bees are so in need of help that I should follow my instincts (which are to help the trapped bee). I'm sure many conservationists and arachnid fans will be horrified and appalled, but if possible, I always end up freeing the bee if I can. On the whole, I find bumble bees seems to stand a better chance against spiders. Spiders appear to approach bumble bees more slowly, probably because of their size and sting. Our smaller, delicate pollinator friends are more vulnerable. A couple of days before writing this blog, I saw a marmalade hoverfly land in a web. In a flash, a large spider dashed out of a corner, and bit into it. Obviously the fly posed no threat at all to the spider. This can happen with small bees too, but I think bumble bees often stand a better chance. Anyway, at the risk of upsetting spider fans, I'm afraid I'm going to provide some guidance here about how to rescue bees from spider webs. When approaching a bee trapped in a web, try to approach from the underside of the bee, if that makes sense, as if you were scooping it up and out of the web. I have found that a 'scooping' action from the underside, helps the bee to become less tangled. At the end of the day though, you can only do your best. Another picture of the same spider (above) - it was in my greenhouse. It had already 'parcelled up' the bee before I arrived. If you see a bee completely wrapped up in cobweb, with a spider right by it, leave it. This was the case above. 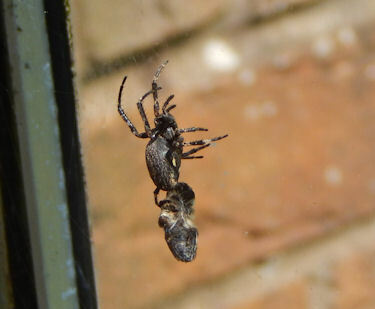 I went into our greenhouse and saw that this spider had already parcelled up what I suspect could have been a mason bee. Obviously, it is not possible to rescue the bee at this point and there is no point in removing the spider's meal. If there is a spider close by, but the bee is not wrapped up in cobweb, then if you are quick and careful enough, you can perform a rescue (again, my apologies to arachnid fans). You can also perform a rescue if the bee is only slightly entangled, by smoothly and carefully scooping the bee out of the web. "The bee is loosely covered in cobweb (but not completely wrapped up), what should I do?" If this happens, do not attempt to remove the cobweb from the bee, because limbs and wings can become accidentally damaged. Remember that the legs and bodies of bees are covered in a fine trace of oil. This will help them to groom away the cobweb on their own. The bee will clean the web from itself if freed. I have observed this plenty of times. As the bee removes the cobweb, it may start buzzing furiously. At this point, rescuers might panic and think the bee can't free itself, and that's when it's tempting (albeit with good intentions) to interfere a little too much. Leave the bee alone - it can manage and is doing this with a purpose. If you try to help, though your intentions are very good and kind, this will be more stressful for the bee, and could harm delicate wings and limbs - especially with too much pulling and dragging. 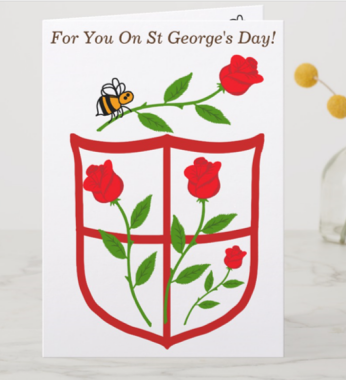 Even if you notice a piece of cobweb which is especially troublesome, perhaps even slightly 'dangling' from the bee, RESIST the temptation to panic, and 'help' the bee. It will sort itself out in time. On the other hand, the bee may 'rest' a little, before removing the web - this is also okay. Just leave it alone. "I used a stick to rescue the bee, and now the bee is entangled on the stick with cobweb, what shall I do?" 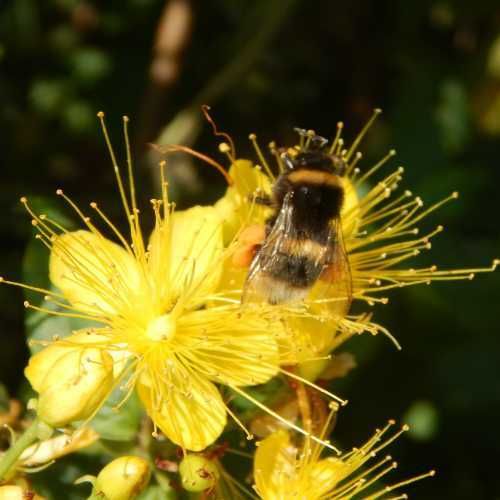 If you have used a stick or something similar to free the bee from the cobweb, and the bee is still attached to the stick by a little piece of web - then place the stick on the ground out of danger (ensure legs are not trapped beneath the stick), and the bee will get on with cleaning itself, then fly off. 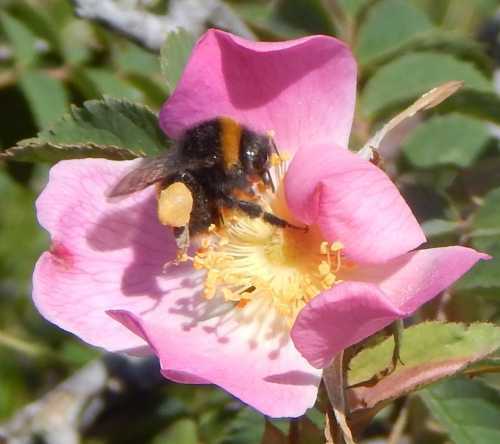 Or keep hold of the stick and observe the bee as it grooms itself clean - but resist the temptation to interfere further, or you may damage legs or wings. "Should I feed a bee I have just rescued?" No. Let the bee clean itself and get on with foraging. Elsewhere on my site, it is true that I suggest offering a little plain sugar water to very bedraggled bees that need a little more TLC and shelter from very heavy rain, and approaching night time. However, ordinarily I would suggest that allowing bees to feed naturally on nectar and pollen is much better for them. A couple of days after I received the latest query about this issue, I was in the greenhouse, pruning the tomato leaves with a pair of scissors, when a buff-tailed bumble bee (Bombus terrestris) flew in. 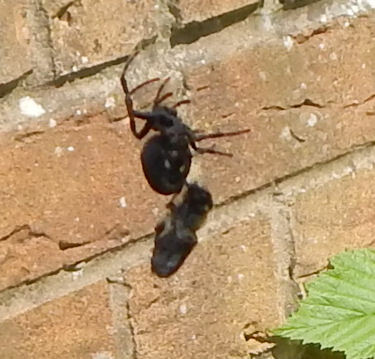 Very quickly, it got itself entangled in a piece of web attached to a tomato leaf. I clipped off the leaf and took it outside. The bumble bee had cobweb on one of its wings and two of its legs. I was keen to double check that yes indeed, my advice is correct, so I stood and observed the bumble bee, resisting all temptation to "help" it remove the cobweb from its limbs, even when it would have seemed easy to 'break' a piece of web attached to the leaf. All in all, it took about two and a half minutes for the bumble bee to clean itself up, and fly off. Can bees avoid spider webs? On a number of occasions, I have watched bees entering and leaving their nests, the entrances of which are surrounded by cobwebs, and yet the bees have managed to avoid getting trapped. I have witnessed this with both bumble bee and solitary bee nests. Presumably, the spider gets lucky at least sometimes. I suspect the bees make their nests before the spiders create their webs, but I cannot say this is definitely the case. I tend not to remove such cobwebs, although I certainly remove cobwebs in my greenhouse when I notice them. This spider web is actually very close to the entrance of a bumble bee nest directly beneath it, in a hole in the wall - indeed, the walls nearby have many cobwebs and solitary bee nests too! Is it fair to deprive a spider of a meal? It's a tricky thing, because ordinarily, I'm always in favour of allowing nature to take its course, and spiders perform their own important role in the ecosystem, but I must admit, I find myself rescuing bees from spider webs in our garden every now and then. I don't think our local spider populations are suffering. It's also true that I find spiders can be fascinating to watch, and their webs are a work of art, especially appreciated when decorated with droplets of dew. 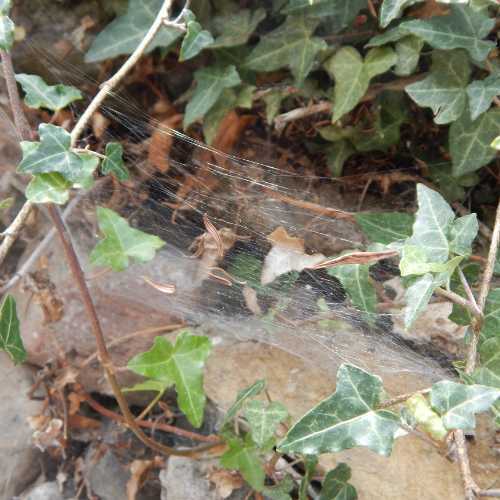 It also amuses me when in the garden, to watch a very fine strand of cobweb floating toward me on a gentle breeze, with a teeny, tiny spider at the end of it. It's how that spider manages to extend its web in the first place. But I must admit to feeling the creeps when I see very large garden spiders in webs, or huge house spiders in the bath! Nevertheless, though I appreciate the importance of spiders, I find my actions following the direction of my heart: I rescue bees from spider webs, and so if you find such situations irresistible yourself, I hope this page has been useful. Can my neighbour force me to remove a bumble bee nest on my property? Is it 'bumblebee' or 'bumble bee'? 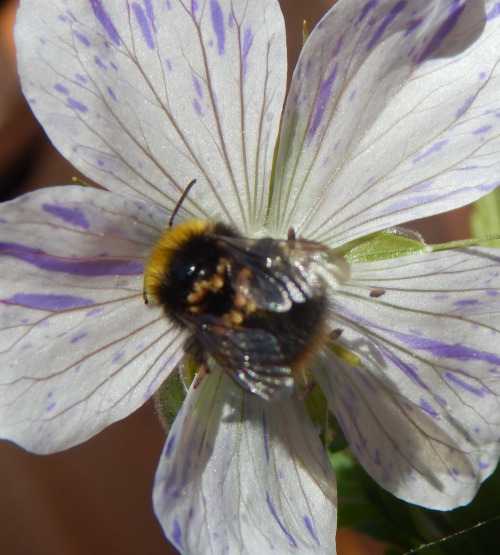 Why have bees stopped visiting my garden?